Fortress Of Freedom Board :: View topic - IAIJ Invited to the 2015 Resumed Session of the ECOSOC NGO..
IAIJ Invited to the 2015 Resumed Session of the ECOSOC NGO..
Posted: Fri Apr 17, 2015 1:27 am Post subject: IAIJ Invited to the 2015 Resumed Session of the ECOSOC NGO..
IAIJ Invited to the 2015 Resumed Session of the ECOSOC NGO Committee! 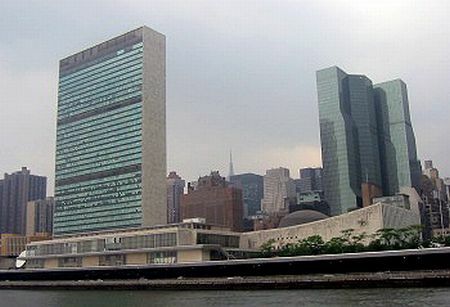 The International Association of Independent Journalists Inc. is excited to announce that it has received an invitation to attend the 2015 Resumed Session of the ECOSOC NGO Committee at the United Nations in New York City on 26 May - 3 June 2015. It is at that session that IAIJ's application for "Consultative Status" will considered. As President of IAIJ, I would like to thank the ECOSOC NGO Committee for the invitation to attend the 2015 Resumed Session of the ECOSOC NGO Committee. I will personally attend all or part of the session and will be available to answer any questions the committee may have regarding our application for "Consultative Status." Once again, on behalf of the membership, and the Board of Directors, I would like to thank the ECOSOC NGO Committee for their invitation and consideration of IAIJ for "Consultative Status" and I look forward a productive trip to the United Nations for the 2015 Resumed Session of the ECOSOC NGO Committee. We will update the membership on the trip and status of the application as it happens early in 2015.